Each winter, we see reports on the news of pile ups, closed roads and accidents caused by severe weather conditions that both our drivers and our roads seem un-prepared for. So what can you do to prepare yourself and your vehicle to best tackle the ice and snow that annually battle to bring our roads to a standstill? Tyre checks – should be a standard step before any long journey, but are especially important in icy conditions. Make sure your tyres are properly inflated and have a minimum 3mm of tread depth to cope with slippery and wet conditions. Your tyres are what stick your car to road, so proper maintenance is paramount. Screen wash – easy to forget but essential to avoid driving blind. 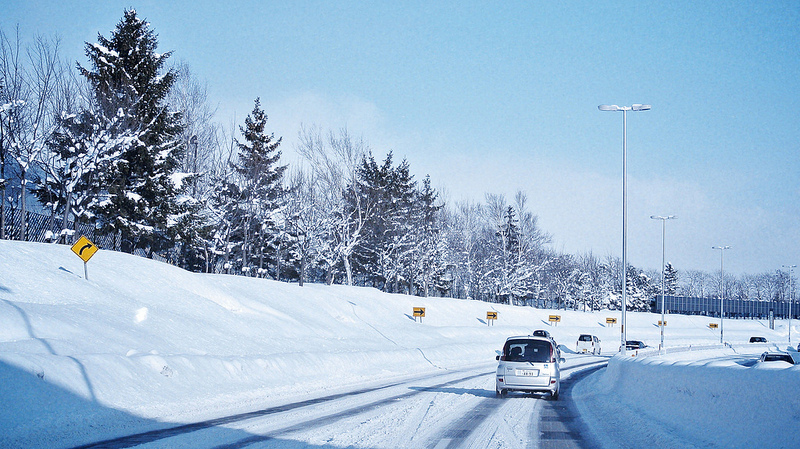 Keep it topped up with right additive to avoid freezing so you can always keep your eyes on the road. Fuel – Panic petrol buying seems to plague our stations each winter, but it is important to make sure before any journey you have sufficient fuel to cover it. Neglecting this can cause all kinds of problems for you and other road users, but being prepared can ensure that should you get stuck in the snow or in traffic, you can keep your engine running and stay warm. Pack warm clothes – No matter how comfortable you are in the car, when the snows fall its best to be prepared for a walk. Keep a good coat, boots and gloves in the car in case a walk home becomes more appealing or safer than the drive. It’s also worth keeping food, water, and a mobile phone to hand in case you get stuck. Smoothly does it – brake, steer and accelerate as smoothly as possible – this will help you and other road users avoid the unexpected by making your movements constant and predictable. Stopping distance – double or triple what you would usually consider a safe stopping distance, and drive in such a way that you are relying on your brakes as little as possible. Only brake if you cannot safely steer out of trouble. Plan your journey – to use the busier roads that are more likely to have been gritted. Use higher gears – when pulling off and when driving, which will give you greater control and help you avoid skids. Start gently from stationary and avoid high revs. On hills – get your speed low before starting any decent, as it’s easier to maintain low speeds using your gears than to slow down in slippery conditions. When travelling uphill, try to keep your speed constant and avoid stopping or changing gear where possible. Keep warm – By running the engine if needs be, or by wrapping up in additional clothing. It’s important to remember when running the engine to keep the exhaust clear and prevent toxic fumes from leaking into the car. Reduce the risk of collision – if you are on a busy road by making your car as visible as possible, or moving it if possible out of the path of other vehicles. The right decision – consider the distance to somewhere warm before you leave your car – if it’s a safe walk, it’s likely the best option to go it on foot, but it may be safer to stay warm in your car and call for assistance. Every year, car insurance companies in the UK see a huge rise in the number of insurance claims as winter sets in and the unpredictable British weather does its worst, so it really is important to be prepared. Your local weather agency will usually be able to give you the best advice for travelling, depending on the particular conditions, and it may be safest not to travel at all. Preparation in many of these circumstances is key, so it’s best to always be prepared for a walk, as well as making sure both you and your car are ready for an icy drive. This article was written by David Rendell, content writer for Confused.com.